Life Extension Optimized Saffron With Satiereal is a clinically studied, proprietary extract of saffron. You know saffron as a spice. What you may not know is that it has been prized in traditional cultures since ancient Persia as a way to enhance mood and relieve stress. Previously available only in Europe, this standardized saffron extract provides support for healthy body weight by targeting some of the emotional factors that make you eat more when you're trying to eat less. The suggested daily serving of just two 88.25 mg capsules of new Life Extension Optimized Saffron With Satiereal delivers the active constituents safranal and crocin. These compounds have been shown to modulate certain serotonergic receptors in the brain to support mood. In clinical studies women taking Satiereal experienced ... *100% reduction in the desire to snack *50% fewer instances of eating between meals *Less hunger *Moderate weight loss *More energy *Better mood In fact, they reported feeling better about themselves and better in general. The result was a greater sense of control over between-meal snacking, and a change in eating behavior, without that "jittery feeling" or other undesirable effects. The same can happen for you. No more "grazing." No more midnight "kitchen raids." Strengthen your resolve. Let Optimized Saffron with Satiereal help you break the cycle of eating more than you want to?and eat what you want, when you want. This supplement should be taken in conjunction with a healthy diet and regular exercise program. Results may vary. 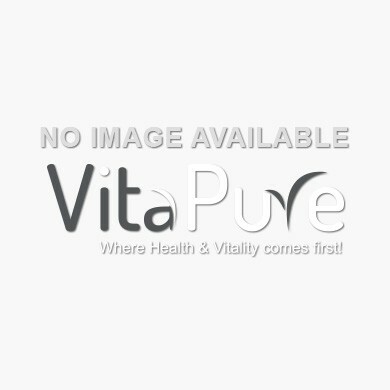 Satiereal Saffron (Crocus sativus L.) Non-GMO Extract (stigma) [std. to 0.3% safranal (0.265 mg) and providing crocin and picrocrocin], Microcrystalline cellulose, vegetable cellulose (capsule), silica. Read the entire label and follow the directions carefully prior to use. Take one capsule twice daily (morning and evening) with food or as recommended by a healthcare practitioner.